Our goal is to connect people with the best local experts. We scored electricians on more than 25 variables across five categories, and analysed the results to give you a hand-picked list of the best electricians in Leesburg, VA.
Absolute Electric is a family-owned and operated electrical contractor in Sterling, VA that has served Northern Virginia and Maryland’s DC suburbs for over a decade. Owner Shauwn Collins comes from a family of electricians and works with his father, Cole, to provide quality work with customer satisfaction as their goal. The company offers a range of residential electrical services, including panel upgrades, recessed lighting, hot tub wiring, ceiling fans, and much more. Absolute Electric performs home electrical safety inspections and troubleshoots many common electrical issues. The company has won multiple Angie’s List Super Service Awards, is a Home Advisor top-rated contractor, and has won Best Pick Reports awards each of the last six years. Ashburn Electric, LLC is a full service electrical company located in Ashburn, VA, providing professional quality services to residential clients in Ashburn and the surrounding areas. Their master electrician is licensed and insured with over three decades of experience in the electrical industry. As a highly experienced and reputable company, Ashburn Electric takes pride in providing expert advice, quality installations, and dependable service for all their client's electrical needs. Their wide range of electrical services includes new service upgrades, interior lighting design and installation, recessed lighting, inspection/code violations repaired, fuse to circuit breaker upgrades, 240 wiring for dryers, ranges and air conditioners, new circuit wiring and outlets, whole house surge protection, and more. Bane Electrical Service LLC is an electrical contracting company in Ashburn, Virginia, founded in 2001. They perform residential and commercial electrical work, with services including back generators, UPS, branch circuits, new branch circuits, outdoor lighting, custom lighting, and more. Bane Electrical Service LLC provides street and parking lot light repair, ceiling fans replacement and installation, high chandelier installation, fuse boxes replacement with breakers boxes, general electrical repair service, outlets replacement, and installation, and more. Bane Electrical Service LLC also works on bucket truck service, switches replacement and installation, 100/1200 AMP service, all residential wiring, recessed lighting, and all indoor lighting. They welcome all major credit cards and provide 24-hour emergency service. Bane Electrical Service LLC offers a free consultation. Dacia Electric LLC is a family-owned and -operated business that serves the Northern Virginia area. The company provides electrical services to residential and commercial customers. Some of their projects include interior, exterior, and safety lighting; electrical home improvements, such as panel, circuit, and device upgrades; dedicated circuits; and home upgrades and remodeling. Their consultants offer design ideas to help customers with new projects for their homes or businesses. They also offer electrical home inspections to troubleshoot potential problems before they escalate to critical issues, such as worn-out receptacles, frayed wiring, and oversized breakers and fuses. The company’s website features recently completed projects, including interior lighting, electrical panels, and ceiling fans. They guarantee fair prices and customer satisfaction with their work. Dr. Watts Electrical Services LLC has been Belton, TX with professional electrical services for over two decades. Services offered include electrical troubleshooting, panel changes, surge protectors, track lighting, kitchens, breakers, hot tubs, electrical house inspections, new wiring, and more. Licensed and insured for the peace of mind and protection of themselves and their customers, they aim to provide safe, professional, and affordable services performed by clean, knowledgeable, and uniformed master electricians. In addition to offering accommodating scheduling, they are available for 24/7 emergency service. Customers have spoken highly of their ability to work promptly and efficiently while offering friendly and respectful customer service. Epsilon Technology is an electrical company based in Leesburg, Virginia offering high-quality and reliable services to homeowners and businesses throughout Northern Virginia and neighboring areas. Their service crew is composed of highly trained electricians who well-oriented in providing excellent customer service and quality workmanship in every project they handle. The services they offer include panel upgrade, appliance wiring, safety inspections, meter conversion, older home rewiring, and electrical repairs, installations, and troubleshooting. They also handle energy management, code updates, and corrections, low voltage systems, ballast replacement, tenant improvements. Epsilon Technology is licensed by Virginia Department of Professional and Occupational Regulation and carries liability insurance for their clients' complete security and added peace of mind. From time to time, they offer a selection of discount coupons for specific services through their website. For over two decades, Huntington Electric Co., Inc. has provided residents of Sterling, VA with a wide range of professional electrical services that include generator wiring, recessed lighting, outdoor lighting, landscape lighting, phone wiring, panel repair, electrical inspections, and more. Fully licensed, they take pride in observing the highest quality standards while fully devoting to professionalism, affordable pricing, and exquisite customer service. Customers have spoken highly of their punctuality, the affordability of their prices, and their unmatched ability to problem solve and diagnose tricky electrical issues. Locally owned and operated, they offer free estimates and consultations to Northern Virginia and some of Maryland. Based in Leesburg, Virginia, Southern Electrical Service Company is an electric business that offers general electric services along with other unique specialties. The mission at Southern Electrical Service Company is to provide its customers with the highest quality electric services available to them by using the best equipment and knowledge. With extensive training and a thorough background of experience, Southern Electrical Service Company is more than capable of providing knowledgeable electric services that demonstrate techniques that are praised by other professionals in the industry. 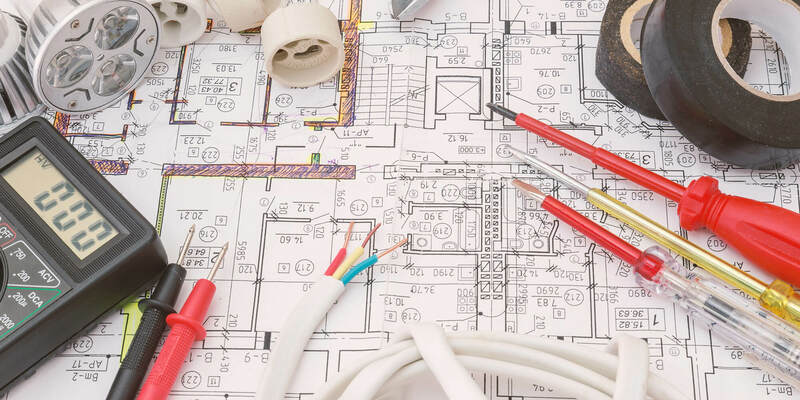 Some of the services that the contractor offers include commercial or residential electrical rewiring, troubleshooting, rewiring, installation, and repair. From the quality of customer service that the business offers to the high-quality standards of electrical techniques that are executed, Southern Electrical Service Company proves that is one of the best service providers in its local industry. SuperNova Electric believes that one’s home is an important investment—which is why having its electrical systems properly maintained is a must. Their team, based in Herndon, VA, offers a vast range of residential electrical services at rates that are not too hard on the budget. They have bilingual staff, which makes communicating easier. They also provide flexible payment options as well as discounts for their valuable clients. To learn more about their service offerings, check out SuperNova Electric’s website.